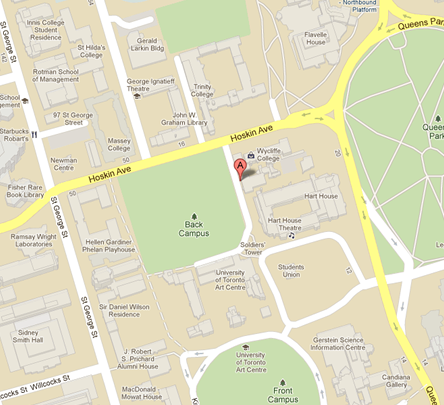 Crux Books is located in the heart of the University of Toronto, just one block west of Queen's Park Circle. You will find us on the lower level of Wycliffe College, with our main entrace off Tower Road. Click the map below for a link to Google Maps.